I am going to drop out of school and become a professional curler. Look out Suzanne Gaudet, Jennifer Jones, and Kelly Scott. Here comes Team Jessmo. 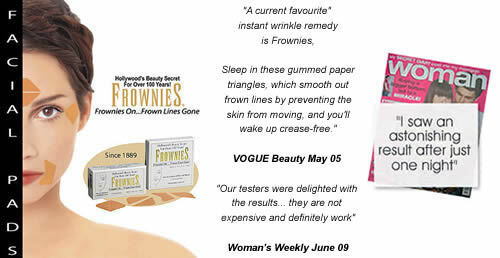 Frownies are facial pads made from natural, skin-friendly materials. 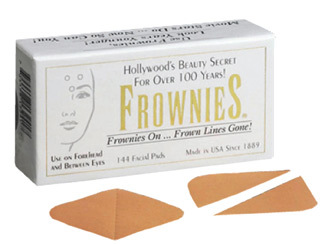 Frownies are applied to the forehead and corners of the eyes and mouth to gently re-educate the underlying muscles to assume their correct, relaxed and natural appearance. Frownies, in fact, allow the deep expression lines to heal leaving younger, relaxed-looking skin.These amazing results were achieved after using Frownies every night for only 3 weeks. More results can be expected with continued use and may vary from one person to the next. I wish my imagination was this vivid. I can’t keep up. Anti-aging dictionary, anyone?